I thought I would share some of my makes from the year. This was my first make as a member of the Fiskarettes UK Design Team. I very much enjoyed my time on their team. 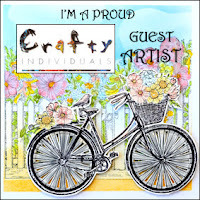 I enjoyed being a Guest Designer for Crafty Individuals. 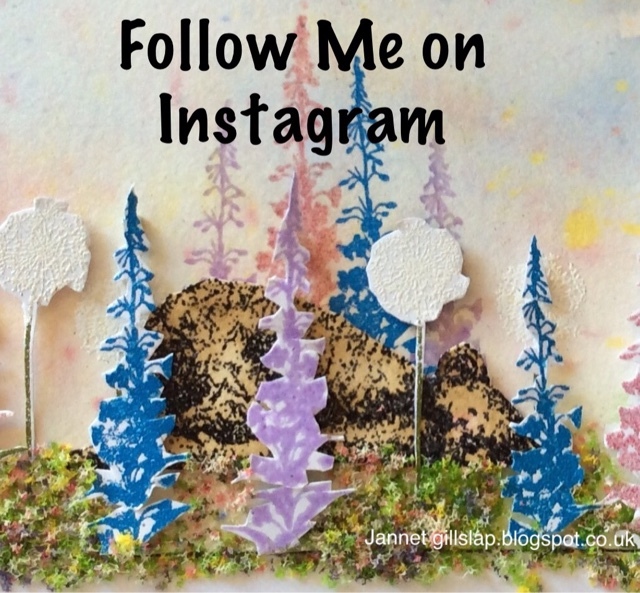 I love Lavinia Stamps, and I was thrilled when this card was featured in Craft Stamper. The reason why I created this canvas is not very pleasant, the crafting world can be very nasty place... but I was thrilled when a magazine asked me if they could publish this canvas. I look forward to hopefully being able to continue to craft in the new year, I have a lot of serious health/ disability problems which are getting worse and I am also developing new ones. Myself and my family are all under tremendous stress which is seriously affecting our health and well being. Heartfelt thanks to everyone who took the time to visit and leave a comment, I appreciate it very much. I wish my crafting friends and crafting visitors good health and happiness in 2019.May you have lots of time to enjoy your crafting. I look forward to hopefully having new crafting adventures in 2019. I recently received this gorgeous stamp by the super talented Phyliss Harris, she is one of my favourite artists. I used watercolours, texture paste and flowersoft to bring this little girl to life. Thank you for stopping by. I hope you are having an enjoyable December. We hope to decorate our Christmas tree this weekend.I have lots of gifts to wrap up too. No handmade tags to go on them this year though! Hi how are you? Have you made all of your Christmas cards yet? I am pleased to say that I have! I also enjoy making ornaments to give instead of cards. I recently had my first experiment with drawing and painting directly onto wood slices. I drew them from my imagination so some look like hares, or bunnies, others look like an entirely new species! But at least they all are 101% original! Hello I am back again with another glittery Christmas ornament, there is no escaping the glitter! I made this one a while ago, I often make ornaments to give instead of Christmas cards. I used a lovely little stamp set from Hero Arts to make this snowy scene, called Winter Animals, it is just adorable with bears, hares and lots more. I used lots of texture paste and glitter to cover the shrine. I fussy cut the stamped animals before embedding them into the snow. I hung up some die cut stars from inside of the roof. To add a little bit of colour I added some natural berries and leaves. Thank you for visiting me today, I hope all s going well with you, and you are enjoying a magical December so far. I am still waiting for my treatment and mri... hopefully it will be before Christmas! Hello and Happy December! How are all your Christmas plans going? I have started making lots of Christmas decorations and cards so that of course means glitter everywhere! I would like to enter my Snowy Foxes scene into the following challenges. We went to The Shrouds Of The Somme at the Olympic Park this morning to pay our respects, and to look for our relatives names.We had to wait to go in as Princess Anne had made an impromptu visit. It was heartbreaking to see so many shrouds, I found only one relatives name, but when I asked it was explained that the 72,396 shrouds only represented those who had died with no known grave.Some of my relatives who died at the Somme have known graves. A very sad morning. My Great Uncle he was killed at The Somme aged just 19. I don’t have a photo of my My Great Grandfather, but he also died at The Somme aged 41 and is remembered on this plaque. My Grandfather fibbed about his age and joined up at just 14 years old. He was 18 when the war ended, he is pictured here with the Belgium family who looked out for him. I made paper poppies, and my sister crocheted poppies, so we could decorate our porch. To say thank you to all those who fought for our country and those who continue to do so. The Weeping Window at The Imperial War Museum.